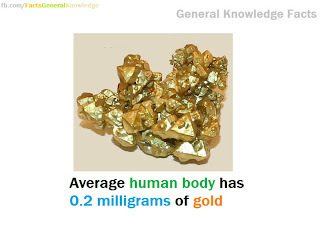 Average human body has 0.2 milligrams of gold. The metal gold needs no introduction to you.It is a chemical element with atomic number 79.It is one of the highly sought after metal thanks to its use in coinage jewelry and so on it has been widely used as a vehicle for monetary exchange. 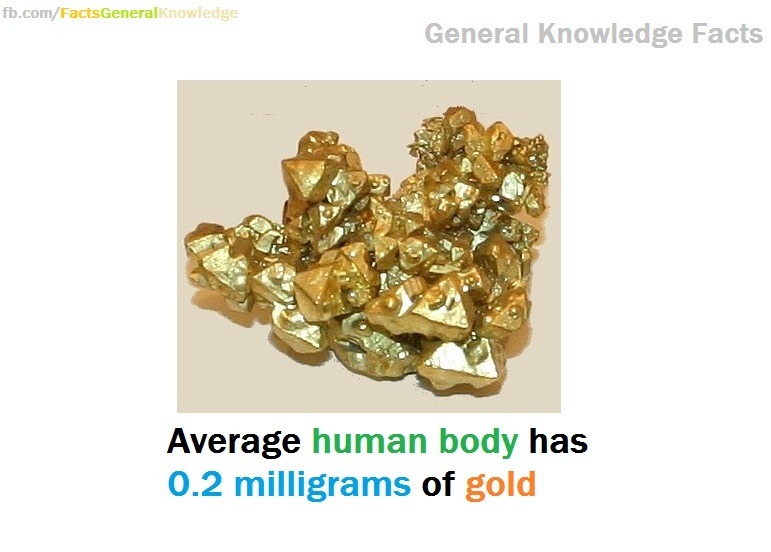 Gold is present in human body.It is a fact ,an average human body (having 70kg weight) consist of about 0.2 mg of gold or 0.000021 pounds of gold. Is there any function for gold in our body ? Yes it has ,gold plays a role in the maintenance of joins and also helps in transmitting electrical signals throughout the body.